If you’re a writer, especially of the small publishing house or self-published variety and your head hasn’t been under your computer, you’ve most likely heard of Wattpad. Several years ago, when I was building my first writing and social media platform, I subscribed to Wattpad and put a few of my stories on there. However, I wasn’t impressed by the user functions and found it mostly awkward. Wattpad has become a writing powerhouse with 25 million users and tons of upgrades since I first haunted the place. Additionally, last year it received a 46 million dollar boost (read about it here: http://venturebeat.com/2014/04/08/social-reading-platform-wattpad-announces-massive-48m-financing-round/ . Forty-six milllllllion dollars. That’s a lot of free writing. That’s right. Don’t forget, even in the wake of a Taylor Swift induced Apple turn-around for musicians, writers remain caught in the middle of a cultural zeitgeist that says it’s only fair to give some or all of our writing away for free, at least part of the time. Wattpad though, also works for writers. Savvy writers build platforms, develop fan-bases and work on branding. If readers like your work, you receive feedback. 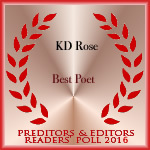 One writer I know mentioned that he had no self-confidence in his writing (and he is good– so sayeth the KD Rose anyway) until he posted his work on Wattpad. From then on, the feedback he received I imagine fed him enough to keep going. That’s right. Writers work for feedback as much as money. After all, we do write to be read. Personally, I found a different platform that suits me better. In no way comparable or funded like Wattpad, and brand new on the scene, a little site called Scriggler has some great features and, more important to me, real interaction with its writers. Run in part by a one man dynamo named Dmitry Selemir, Scriggler sends out publications of the day, tweets works deemed well written and interesting out to its twitter fanbase and is just beginning podcasts to showcase writers. Envisioned more as a broad community to target the appropriate audience rather than build an author platform, Scriggler offers an array of posting choices, though publishing is not as free-form as Wattpad. So no, they’re not the same thing exactly and I’m a whore for attention like many writers so while I am drawn to Scriggler for a number of reasons I’ll still be planting my works, or pieces of them on Wattpad as well in the future. I can tell you right now though, Wattpad still has an old cover showing that I can’t get off and I still find maneuvering on their site as frustrating as ever. It doesn’t let me copy and paste because then the formatting goes south and on and on. Wattpad, why do you hate me so? I promise I’ll give our relationship another chance. See, I brought you a brand new story, just last week. I’m sorry I couldn’t classify it right. You’re just so hard to read. I’ll do better. Wattpad is having none of it though. I can see it’s going to take more whining and dining. Wattpad is currently over capacity. 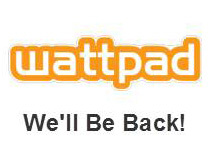 Thanks for your patience while we work to get Wattpad back up. We will be tweeting updates at @wattpadsupport, so stay tuned! I’m relieved to see someone else finds Wattpad counter-intuitive. I’ve posted some works there and received some feedback (not as much as I hoped – I know, I should spend hours a day socializing, but life is short.) I’ll check out Scriggler – thanks for the tip. We have to remember too, anything online is considered published and can’t be sent to most places to actually publish. There’s probably more to say about that – to cite a topic in the news, I understand The Martian was posted as a serial on the author’s blog before Kindle and eventually a traditional publisher – and now a movie.